We decided to take both of them for a quick test drive around the town testing both 4K video recording and photo abilities in bright light/low-light. For 4K recording, we did a bunch of tests with the phones on tripod and handheld. With the phones on tripod, the LG G4 and Galaxy S6 both did very well in capturing a lot of detail with brilliant colors. The LG G4 seemed to have slightly better color reproduction while the Galaxy S6 exaggerated bright colors like yellow, red, and green. 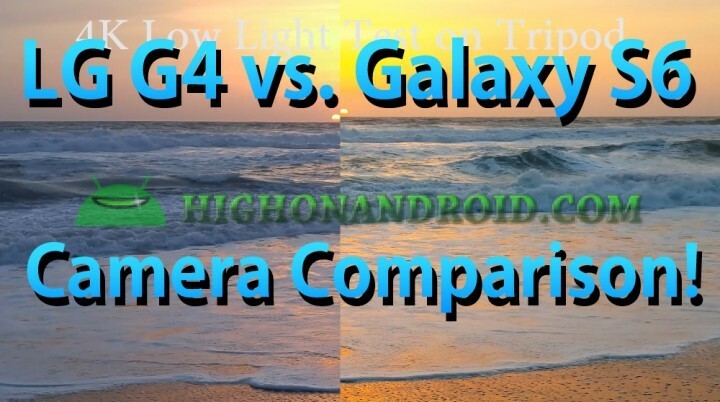 In low-light, both did well but the color difference was more exaggerated, the G4 picked up much truer colors than the Galaxy S6 in our beach scene where G4 showed the true pink colors of sunset while S6 turned them yellow. Also for OIS(Optical Image Stabilization) tests, LG G4 seemed to be a bit more stable with less shakes in our panning tests when viewed with 600% zoom. Of course, the differences are actually very minor but LG G4 does seem to have a better handle on video stabilization. 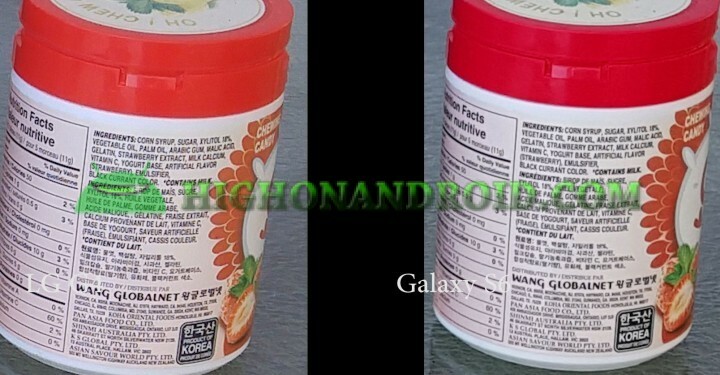 For front-facing camera, the LG G4 has only 1080P recording while the Galaxy S6 does up to 2K. The Galaxy S6 front camera seemed to be much brighter and in detail and the audio quality was much better while LG G4 was slightly muffled. But overall, both front camera performed fairly well. In our still photo tests, the LG G4 and Galaxy S6 both did excellent when taking landscape shots with both phones showing much detail and quality even when cropped. The only minor difference again here was that the LG G4 seemed to reproduce more real colors while S6 was a bit more on the warm side for brighter colors. Again, these differences were fairly minor and depending on your personal preference, you might like the G4 or the S6. When the photos were cropped to more than 10X, the LG G4 seemed to have just a tad more clarity and detail, this may be due to the faster F1.8 lens vs. F1.9. Now, one of the coolest features from LG G3 that carried over to the G4 is the laser focus. While the laser focus is quite fast, I have seen a vast improvement with fast focusing times with the Galaxy S6. 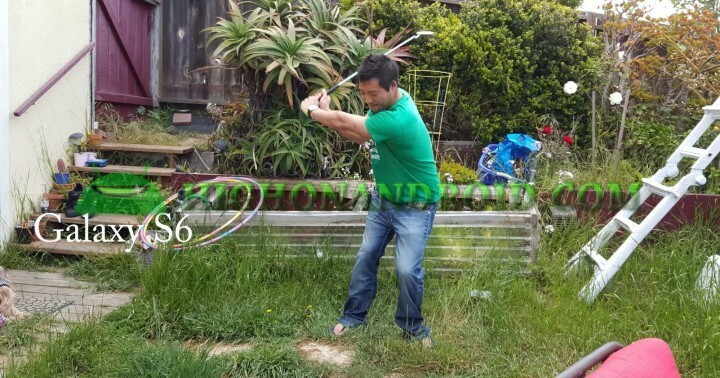 When we did the golf swing test, both LG G4 and Galaxy S6 performed very well, being able to capture the impact. I would have to say the G4 is a tad faster while S6 is still fast but have missed couple of my swings in my tests. What’s very interesting is that although the laser focus is super fast on the LG G4, continuous shots on the G4 was about half the speed of the S6. In our continuous golf swing test, the Galaxy S6 shutter was going at twice the speed of LG G4 resulting in double the number of photos for our golf swing test. This can go both ways. If you want to take just one shot of action, the LG G4 may have an edge due to its laser focus while if you don’t mind using continuous mode, the Galaxy S6 will fair much better as it can take quicker photos. In our pink room low-light test, the LG G4 and Galaxy S6 both did very well in reproducing colors, nearly identical in results. The G4 did stutter on our last photo by turning our photo purple but other than that, both cameras did well in reproducing the correct colors. Overall, both cameras seem pretty equal. While the LG G4 seemed to do well in certain situations like color reproduction, the Galaxy S6 made up for it in other parts like 2K front facing video recording and faster continuous mode. All cameras are not made equal and this test proves that depending on the situation, either phone may do better. With that said, if I had to choose one phone for its camera abilities, I would go with the LG G4 as it also has full manual mode with shutter speed control, which we didn’t go into detail in this comparison (that will be for another day). Which one do you think has a better camera in your opinion? Leave your thoughts below! Previous story LG G4 HONEST Unboxing!